2. 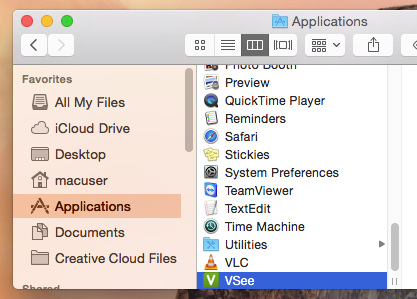 Open your Applications folder, and look for VSee, which should be near the bottom of the list. 2. Select VSee, and then drag the icon to the Trash.